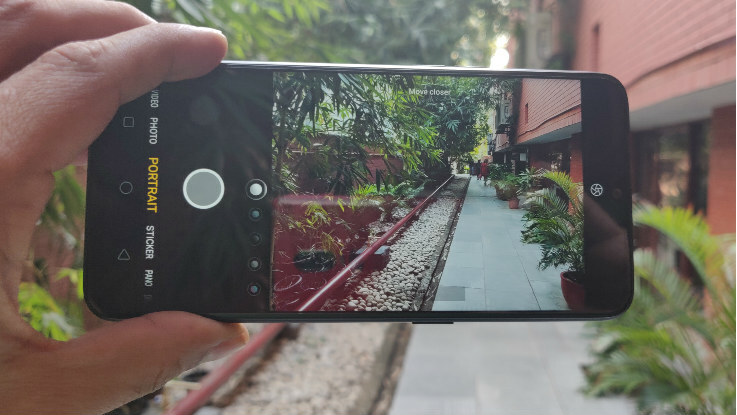 Realme 2 Pro First Impressions: A Pro to take on other Pro? Tecno Camon i4 First Impressions: Can make its presence felt in the market? We got the chance to spent some time with the device and this is what we think of it. Realme has introduced its third smartphone and the real upgrade to its first smartphone, Realme 1. Dubbed as Realme 2 Pro, the phone comes with a price tag of Rs 13,990 for 4GB+64GB, Rs 15,990 for 6GB+ 64GB and Rs 17,990 for 8GB + 128GB. With this, Realme is all set to disrupt the smartphone market in this price range. The company is offering a host of interesting features like waterdrop notch, better processor and more storage as compared to other players in this segment. However, will this Pro from Realme be able to compete with the other Pros in the market? We got the chance to spent some time with the device and this is what we think of it. Please Note: The device which we have reviewed was a factory unit and imported from Taiwan. It will a beta device and some of the features that would be made available in the retail unit were missing in it. 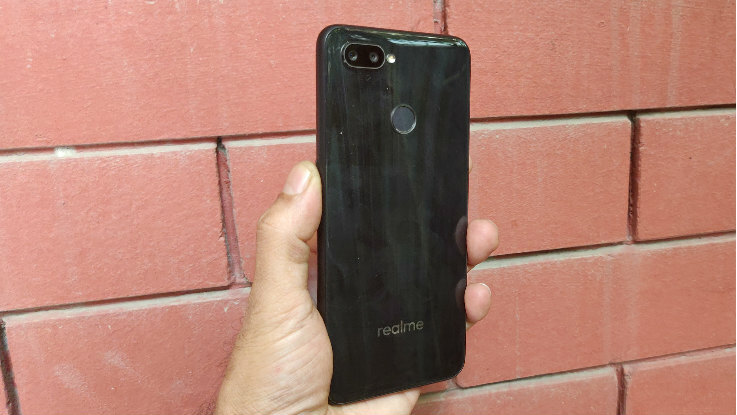 Realme is one of those few players that believe in giving some premium design at an affordable price tag. We already saw diamond-like finish in Realme 1 and Realme 2, however, this time the company has gone with the plain glass finish, which still gives a premium look, though we liked the diamond finish more as compared to this one. The company justify this design by saying that they want to give a premium look similar to what we have seen in the likes of OnePlus, Asus and more. It sure looks premium when you hold it, however, glossy finish attracts lots of smudges is quite visible, especially in the black review unit we got. Giving some design aesthetics, the company has opted for a waterdrop notch at the front, which gives a pretty immersive look and it is better as compared to other notches found in smartphones at the similar price range. The notch houses front-facing camera and just above it is the earpiece. The right house's power on/off button, while the right sports SIM tray (dual SIM + microSD card slot) and volume control. At the base, you will find a micro USB port flanked between the speaker grille and headphone jack, while the top is blank. The back panel houses dual-camera setup at the top-left corner and there is a camera hump, meaning that it will attract some dust around the camera module. Then there is a fingerprint sensor at the top-centre position, which is comfortable to reach. 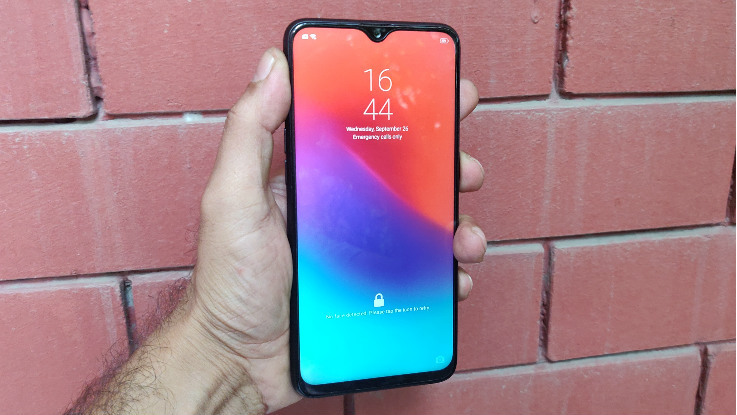 That said, Realme 2 Pro is still one of the premium-looking smartphones, but it has its fair share of resemblance with Oppo F9. Coming to the display, the Realme 2 Pro features a 6.3-inch Full HD+ display with a screen resolution of 2340 x 1080 pixels and 19:9 aspect ratio. The screen looks pretty interesting as it is bright as compared to its predecessor, meaning that you will not face any issues using it in sunlight. The viewing angles look decent and we will discuss more it in our review. and the viewing angles are decent as well. On the hardware front, the Realme 2 Pro is powered by an octa-core Qualcomm Snapdragon 660 processor along with Adreno 512 GPU. The phone comes in different memory configurations including a 4GB RAM + 64GB storage option, 6GB RAM + 64GB storage variant and 8GB RAM + 128GB storage model. That said, the Realme 2 Pro is providing good processor in this price range. The same chipset has been used in Xiaomi Mi A2 and recently-launched Vivo V9 Pro. We will present an in-depth analysis of this new smartphone pretty soon. 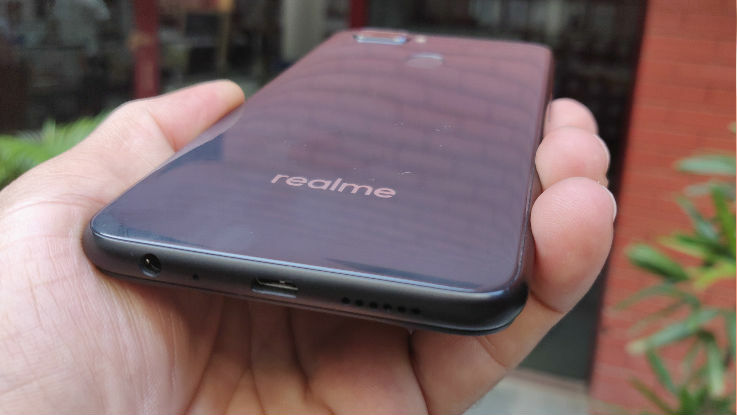 On the software front, the Reame 2 Pro runs on Android 8.1 Oreo, which is based on the company’s ColorOS 5.2. The latest user interface comes loaded with different features like clone apps, smart play, screen recording, game space and more. The interface has no app drawer and in our review unit, the Theme app was missing. We will talk in details about the new interface in our upcoming review. For optics, Realme 2 Pro features a dual-camera setup at the back, which comes with a combination of 16-megapixel primary sensor with ½.8-inch Sony IMX398 sensor with f/1.7 aperture and 1.12-micron pixel size, while the second sensor is used to create a bokeh effect. For the front, the company has employed 16-megapixel shooter for selfies and video calling. The rear camera does a decent job in capturing some photos in ideal lighting conditions. However, we found out that the bokeh effect was a bit buggy in both front and rear cameras. In some cases it was able to highlight the subject properly, however, in other cases, there were some bleeding issues. The front camera does a decent job as well. On the battery front, the Realme 2 Pro is backed by a 3500mAh battery with no fast charging support. On the connectivity front, you get dual 4G VoLTE, GPS, WiFi, GLONASS, dual-SIM cards, microSD card slot, 3.5mm audio jack and micro USB port. Realme 2 Pro comes loaded with pretty interesting features and the specifications are pretty aggressive. And so is the price tag. With this, the phone gives a stiff competition with the likes of Xiaomi Mi A2, Vivo V9 Pro, Motorola One Power and more.